Add a touch of sparkle to your hen party with this fantastic confetti . It contains red and hot pink L plates, silver and gold stars and silver gold, hot pink and red hearts. 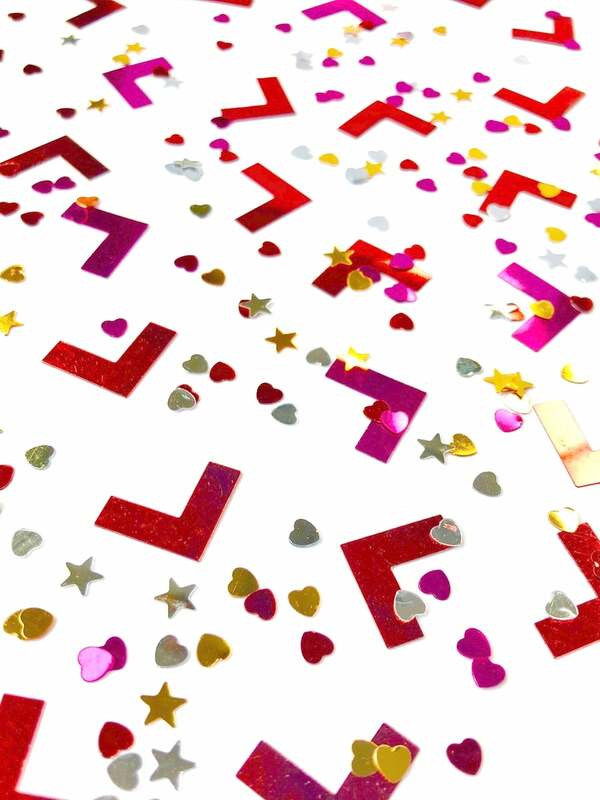 Showing our 2 Shimmer L Plate Confetti reviews with an average rating of Excellent. Would you like to write a review? Review - Great item, Hen loved the sparkles! Great item, Hen loved the sparkles!